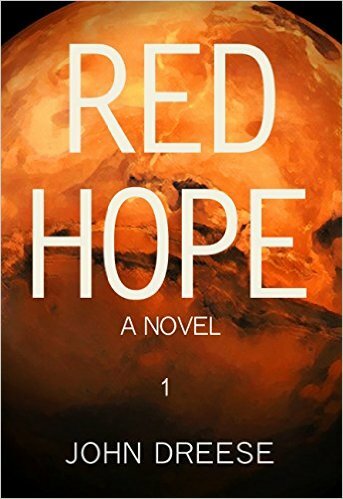 *Red Hope: An Earth To Mars Technothriller (Deal, Not Free) by John Dreese. Price: $0.99. Genre: YA SciFi Thriller Deal, Sponsor, Space Exploration, Mars. Rated: 4.1 stars on 182 Reviews. 237 pages. ASIN: B00RA7QOHY. Reviewers love it: This was such an edge-of-the seat story when I started, that I couldn’t stop reading! What an engaging read! I zipped through the book in a day because I was interested in how it would end! It moves fast and I was quite surprised at how attached to the characters I became! I really loved it! I don’t think I have ever spent a dollar this well! The Old Creek Bridge by Sarah Kettles. Price: Free. Genre: YA Romance, Coming of Age, Literature & Fiction. Rated: 5 stars on 4 Reviews. 193 pages. ASIN: B016KCI69S. *F*KTORY, Vol. 1 by Jorge Enrique Ponce. Price: Free. Genre: YA Fantasy. Paranormal & Urban, Literature & Fiction. Rated: 5 stars on 5 Reviews. 351 pages. ASIN: B018BGKKC2. Replay by Keira Lea. Price: Free. Genre: YA Science Fiction, Time Travel. Rated: 4.6 stars on 7 Reviews. 176 pages. ASIN: B004WE7F7G. When Dreams Come True (Repeat) by Rebecca Emin. Price: Free. Genre: Contemporary YA Romance, Literature & Fiction. Rated: 4.7 stars on 6 Reviews. 162 pages. ASIN: B007YFXS9Y. *Nyssa Glass and the House of Mirrors by H. L. Burke. Price: Free. Genre: YA Steampunk, Horror, Literature & Fiction. Rated: 4.6 stars on 10 Reviews. 158 pages. ASIN: B01BZRI4Z4. The Guardian, a Sword, & Stilettos (The Enlighten Series Book 1) by Kristin D. Van Risseghem. Price: Free. Genre: YA Fantasy, Religion & Spirituality. Rated: 4.4 stars on 34 Reviews. 282 pages. ASIN: B00VGUZ9CC. Arise (Soulmates Book 1) by Allison Williams. Price: Free. Genre: YA Science Fiction, Contemporary Fiction. Rated: 4.2 stars on 10 Reviews. 227 pages. ASIN: B017OLFF5C. The Colony Book 1: Rebellion by J. Tomas. Price: Free. Genre: Fiction, Science Fiction, Literature & Fiction, Dystopian, Gay & Lesbian. Rated: 4.9 stars on 7 Reviews. 200 pages. ASIN: B00ET2HCW4. Witch Wishes (Witch Ways Book 3) by Kristy Tate. Price: Free. Genre: YA Fantasy, Coming of Age, Time Travel. Rated: 4 stars on 4 Reviews. 182 pages. ASIN: B01ATTOP52. Fabulous Free USA Today Bestselling Author YA Dystopian Fiction! 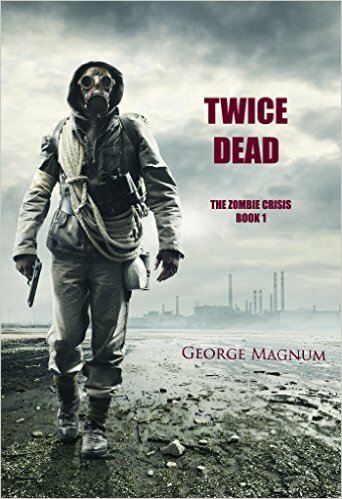 *Twice Dead (The Zombie Crisis-Book 1) by George Magnum. Price: Free. Genre: YA Zombie Apocalypse Dystopian Science Fiction, Sponsor, Horror, Dystopian. Rated: 4 stars on 29 Reviews. 148 pages. ASIN: B00R9UTWGM. Reviewers like it: If you love zombies, you will love this one! It was action filled, and the plot is surprisingly well thought out! It keeps you on your toes from the beginning to the end! Fabulous dystopian thriller! *Svengali ~ Junior: Svengali (Svengali Series) by Kevin Donoghue. Price: Free. Genre: YA Coming of Age, Sponsor, Rock & Roll, 1980’s, Arts & Photography. Rated: 5 stars on 1 Reviews. 321 pages. ASIN: B00QZFF4UK. *Fallen (Crowns of the Twelve Book 3) by Ann Hunter. Price: Free. Genre: YA Fantasy Romance, Fairy Tales, Paranormal. Rated: 4.6 stars on 16 Reviews. 253 pages. ASIN: B00N9RT7UA. ***Clay’s Hope: Judgement of the Six Companion Series, Book 1 by Melissa Haag. Price: Free. Genre: YA Romance, Coming of Age, Paranormal. Rated: 4.8 stars on 157 Reviews. 267 pages. ASIN: B00WAIOL7I. Hunting for Witches (The Ludus Book 1) by Lana Pecherczyk. Price: Free. Genre: YA Paranormal Romance, New Adult & College, Romantic Comedy. Rated: 4.2 stars on 18 Reviews. 426 pages. ASIN: B00V2IBYYA.